In our new column “Three Questions Asked” we are talking to experts about current topics of the trade. For our premiere, we were able to attain a chat with Ralf Schmeißer of Schmeißer machine tools, a long-standing client and holder of the Machineseeker Trust Seal. 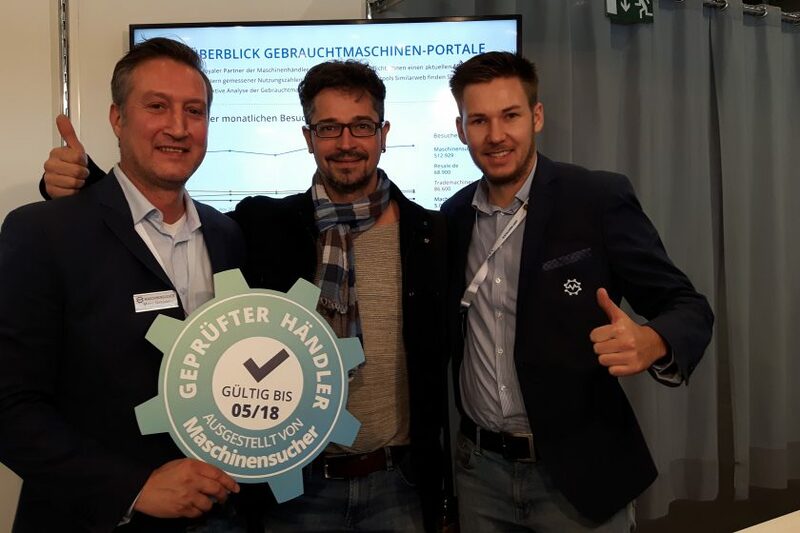 Mr. Schmeißer, you’re the first dealer certified with the Machineseeker Trust Seal. How do you like that idea? We like it very much! We’re especially honoured to be the first dealer with this certification! The seal of trust anticipates to increase customer confidence and thereby inquiries and sales. can you report positively on that? That surely plays a huge role in the back of our customers heads. But unfortunately i can not yet provide any numbers on that matter. What are your overall experiences with Machineseeker? Do you benefit highly from the digitization of the market? From experience one can savely say that Machineseeker currently is the best service on the market.